Click here to watch the 2019 ALA Youth Media Awards press conference. I asked Sophie Blackall, Juana Martinez-Neal, Grace Lin, Brian Lies, and Oge Mora to answer two questions and finish two sentence starters. Hello, Brian Lies! 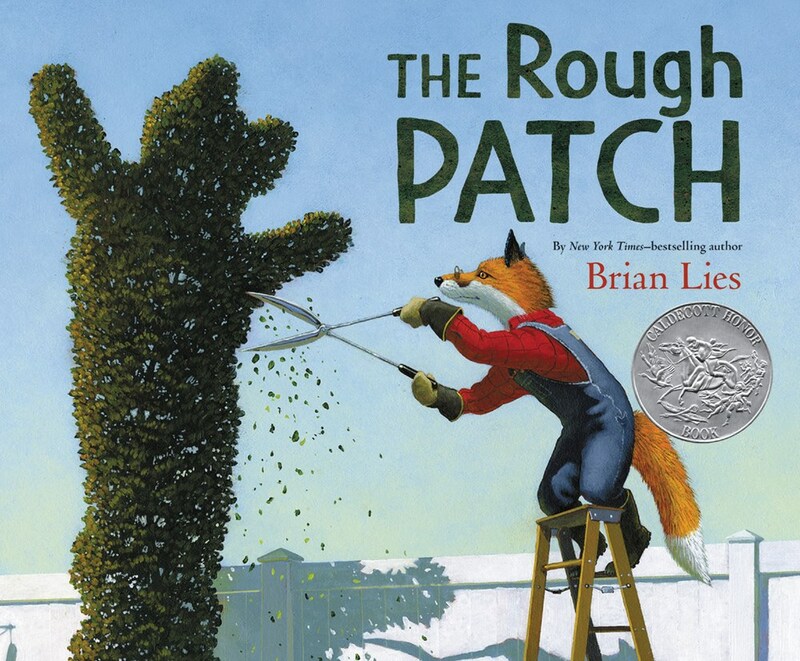 Congratulations on receiving a Caldecott Honor for The Rough Patch. I love hearing about the call. What ran through your head when the phone rang? What were you thinking about when the Caldecott committee was clapping and cheering for you? Brian Lies: I actually didn’t GET “The Call!” My Monday was completely surreal. Though some bloggers and Mock Caldecotts had placed THE ROUGH PATCH on their lists, it wasn’t on many of the prediction blogs. So I was in a strange place, not wanting to think about the possibility that it MIGHT be a contender—wouldn’t it have been on more lists? And you have no idea if any book is even under discussion. But little wisps of hope get in, despite your best efforts not to think about it. Wouldn’t it be amazing...? Everyone “knows” that The Call comes in the early morning. So when we woke up on Monday with no phone call, my wife and I knew it wasn’t my time. She went off to school, and I did some drawing. Neither of us was in a particularly good mood. Then around 9:30 I went to the gym to work out. I got home around 10:30, and got ready to watch the live feed of the awards. I had the feed on my desktop computer, and had joined a Facebook watch party, hosted by a friend, on my iPhone. My phone ringer was off—I wanted to focus on the feed. The award announcements rolled along, and I was writing down titles and names, with the idea of congratulating people afterwards. They got to the Caldecott Honors, and I was finishing up writing “Grace Lin /BIG MOONCAKE FOR LITTLE STA—“ when I heard the announcer say “and the next honor goes to . . . The Rough Patch!” I had a strange, dissociative moment. “What the heck?! ?” I glanced up to see my book jacket on the screen. For a moment, I was certain I’d accidentally opened an image file of the jacket on my desktop. Then a flurry of thoughts: “Can’t be! Holy cow! But I didn’t get a call! Oh my god—is this real?” And then congratulations were coming in from friends on the FB watch party. It seemed it WAS happening. There aren’t adequate words for how surreal the whole thing was. I didn’t see the rest of the announcements—I was trying to make calls to family, and then got a call from my Greenwillow editor, Virginia Duncan. It turned out the Committee HAD tried to reach me—my phone later showed they’d tried three times while I was at the gym, but hadn’t left a message. And then they’d called one last time, five minutes before the ceremony began, and finally left a message with the good news, and those fantastic cheers. It’s wonderful to have that recording, so I can play it back when this doesn’t feel real. What does the Caldecott mean to you? Brian Lies: With all of the beautifully-illustrated books that came out this year, receiving this honor is deeply affecting. I feel tremendous gratitude that this committee decided this book was worthy. And—I’ve been struggling with how to put this into words—this honor feels somehow strangely separated from time. It’s a validation of the long years I’ve been trying to learn how to tell stories in pictures. Here’s me now—thrilled beyond my ability to express—but somewhere there’s also the ten-year-old me who dreamed of being a writer and illustrator but knew he’d never be good enough to get published, who would be staggered to know that this had happened to us. My one real regret is that neither my father nor my father-in-law is alive to hear this news. 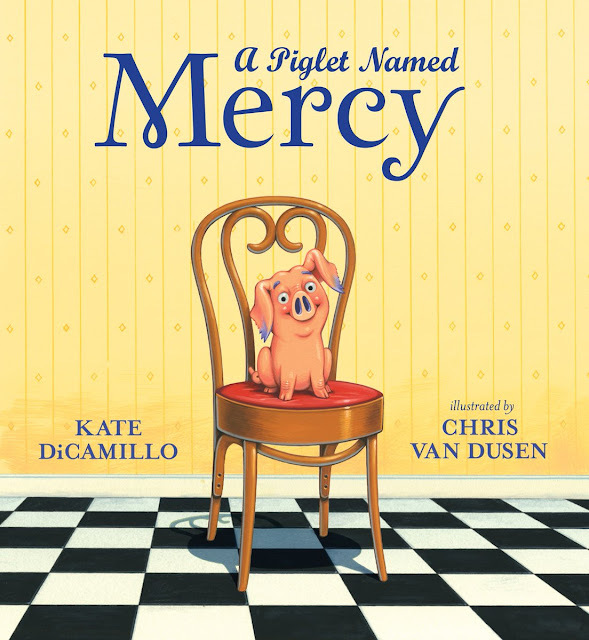 Picture books are the entrance ramp to the highway of literacy, imagination and compassion. If you are lucky enough to have loads of picture books read to you when you’re little, you get language and stories in your blood, and they’re going to be things you prize throughout your life. Those stories let you see into the lives of other people who aren’t like you, let you realize that we all have the same longings and dreams. School libraries are the beating heart of a school. For many students, school libraries are a refuge from home or bullying or classes they don’t like, a safe place. If they’re from a family that doesn’t go to the public library for books, they’re the place where stories live. School libraries are essential! Borrow The Rough Patch from your school or public library .Whenever possible, please support independent bookshops.